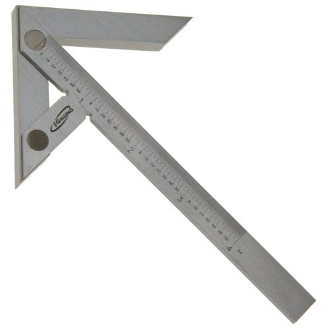 This 8 Inch Premium Center Gauge, makes center finding an easy task. Made of hardened stainless steel with a Satin Chrome finish, the gauge has an accuracy to 1/64ths of an inch. It is heavy duty, accurate and reliable. Comes packaged in a protective plastic pouch.